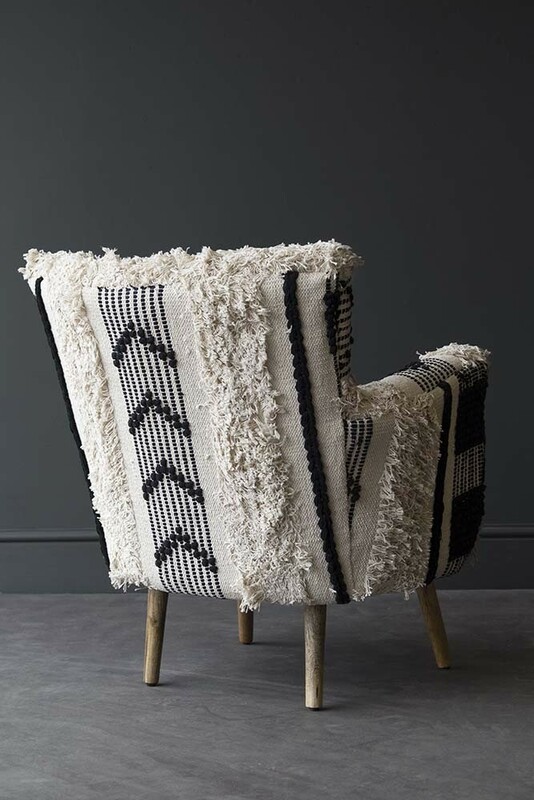 Oh la la … isn’t this chair just so damn spectacular?! 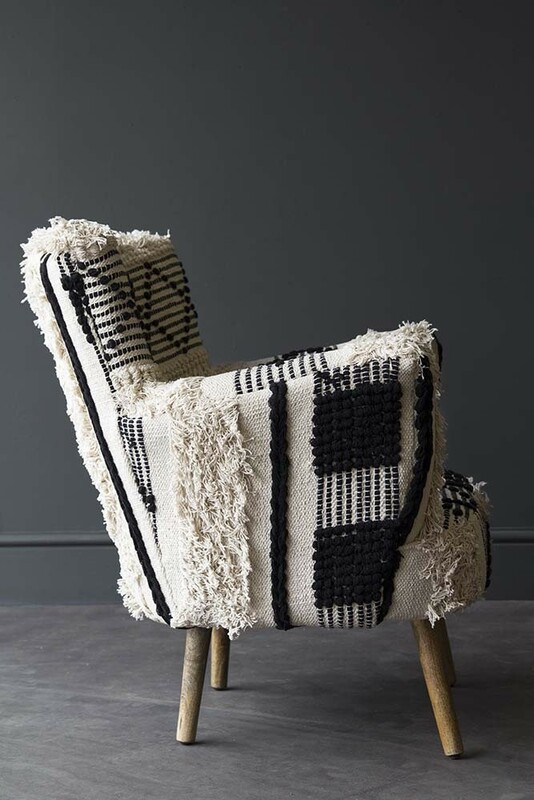 An utterly unique armchair that is bursting with personality, the Boho Woven Armchair will without a doubt add wow-factor to your home! 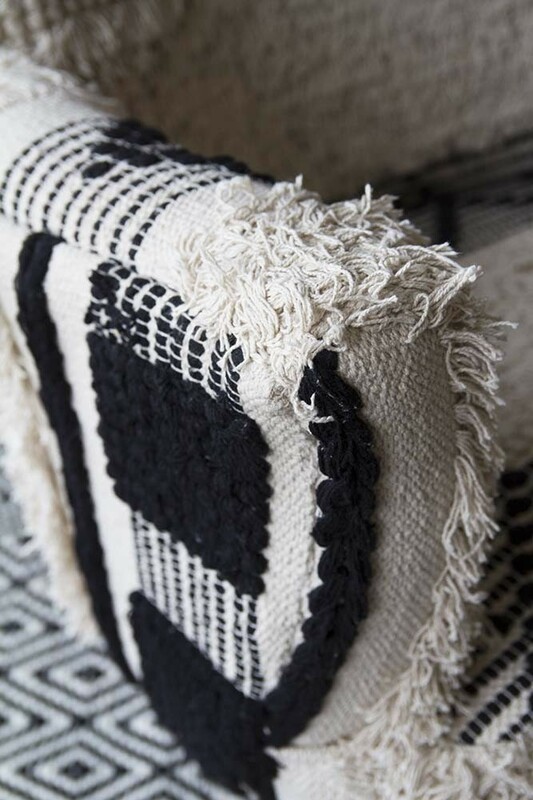 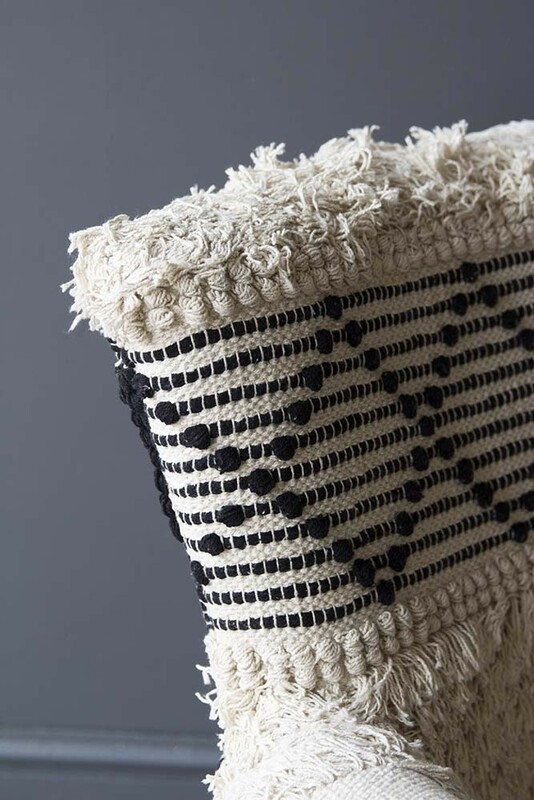 Guaranteed to turn heads the Armchair has been upholstered with a benni style rug with tassels, woven patterns, pom poms and tantalising textures that will add interest and a bohemian chic vibe to your living room, sitting room, bedroom, guest bedrooms, hallway, office and more! 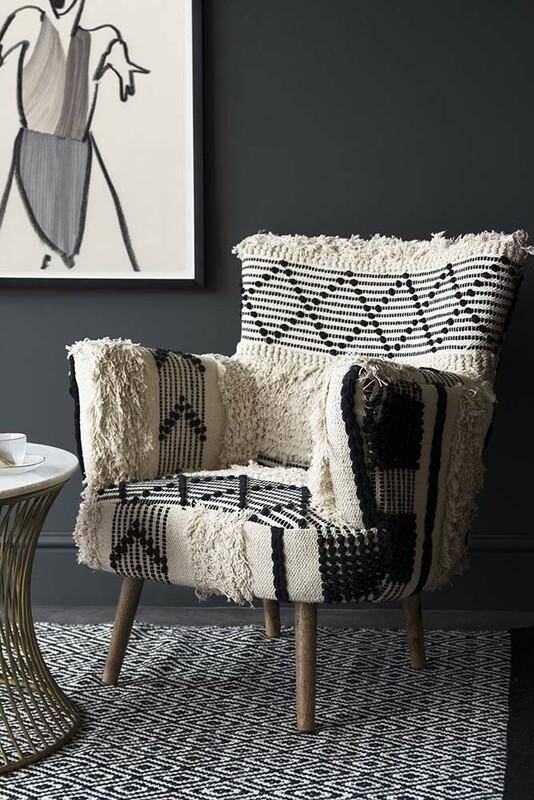 A deep-seated armchair with raised arms and legs for ultimate comfort, the Boho Woven Armchair could easily be a stand-alone furniture piece that will add delicious drama to your style spot. 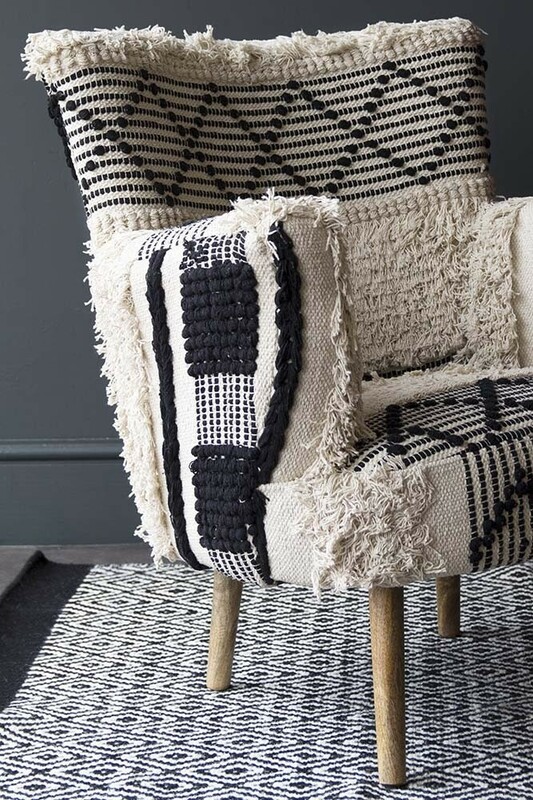 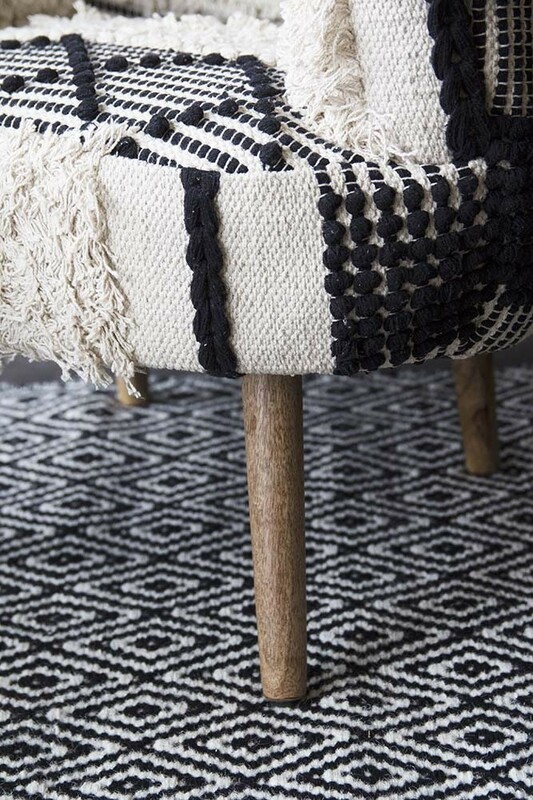 A maximalist easy chair through and through the statement Boho Woven Armchair would also make a cosy accompaniment to your sofa and coffee table in the living room.